The landscapes of Singapore have been evolving so fast, with new buildings and landmarks appearing at breakneck speed. And so, when I came back from a year-long backpacking trip, I realized I have become essentially a tourist as well! 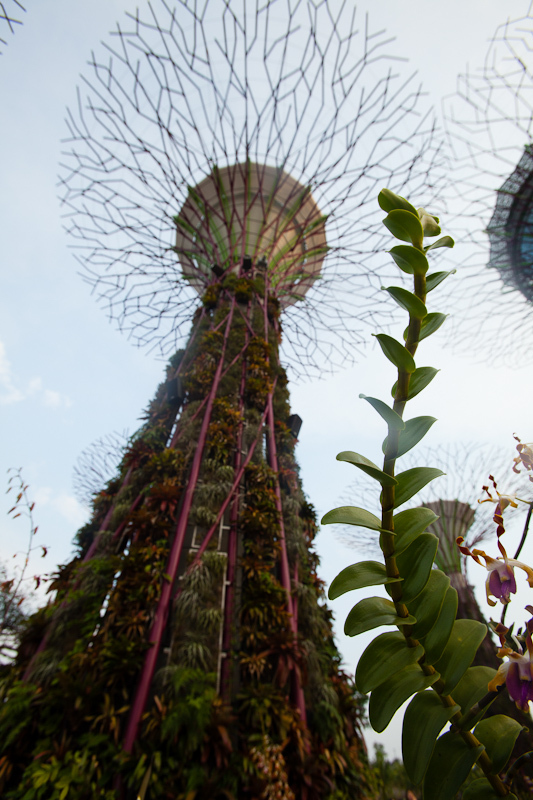 Now, just barely a month ago, Singapore unveiled yet another new icon and landmark - Gardens by the Bay. 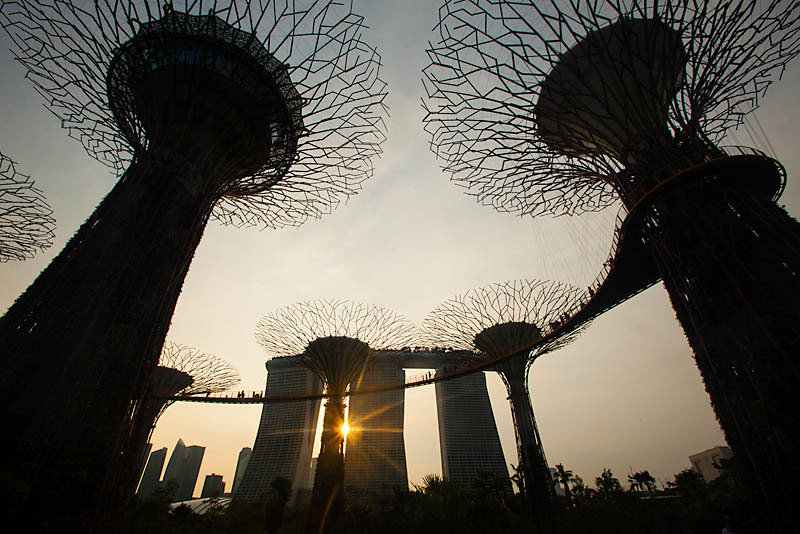 A 'superpark' comprising of 3 gardens covering over 100 hectares, it is giving Singapore a well-earned name of 'Garden City'. With 2 conservatories simulating different climates at other parts of the world, over a quarter million different plants can be found in the Gardens. It is indeed set to be one of the major attractions and icons of Singapore. However, ironically, it is one of the man-made features in the Gardens that had become somewhat of a highight and icon for me (and many others). The Supertrees are huge tree-like structures that dominate large parts of the Gardens. 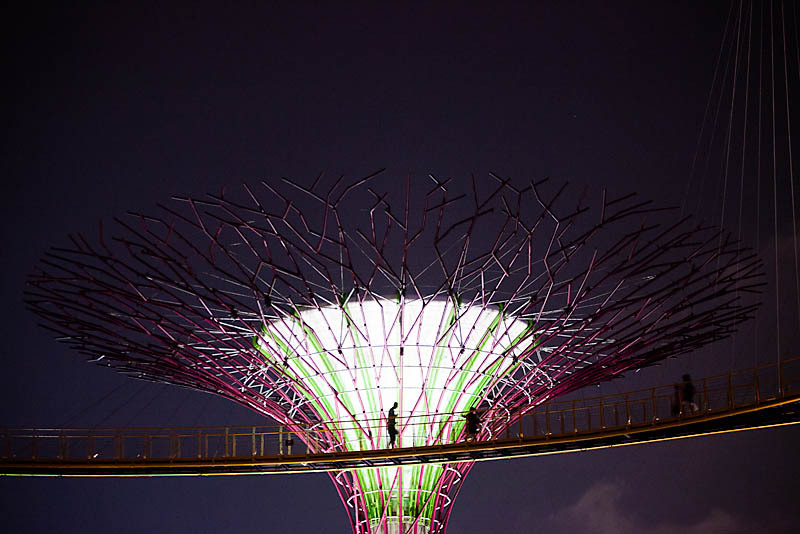 These structures are modern wonders that supposedly provide various functions - from collection of rainwater to harnessing solar-power; from providing shade to providing lighting (shows). Indeed, when the skies darken, a music and lights show would provide the entertainment for the evening. And the beautifully lighted Supertrees does give a surreal ambience to the whole place! 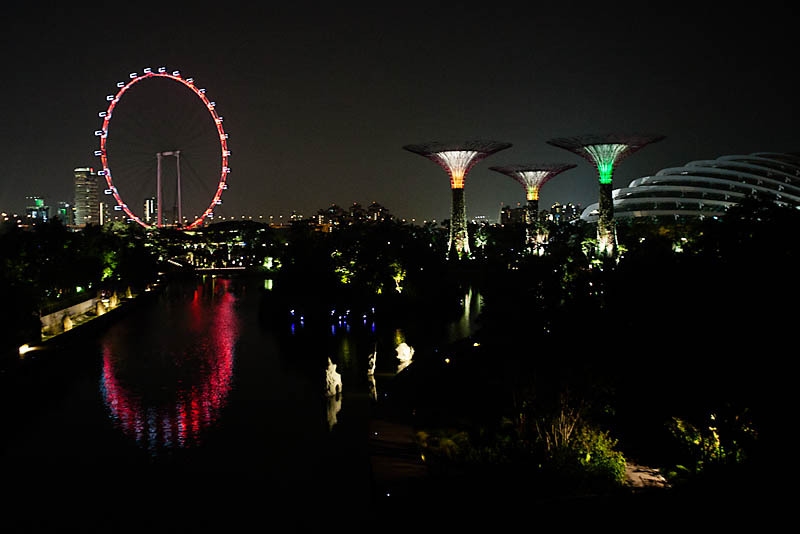 It also complemented the beautiful night scene around Marina Bay wonderfully. A worthy addition indeed! 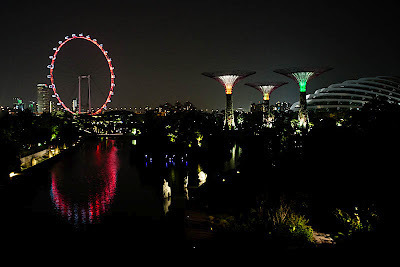 So for those going to Gardens by the Bay, you may want to do so in the late afternoon and then finish off with a beautiful night view of the Gardens and Marina Bay! 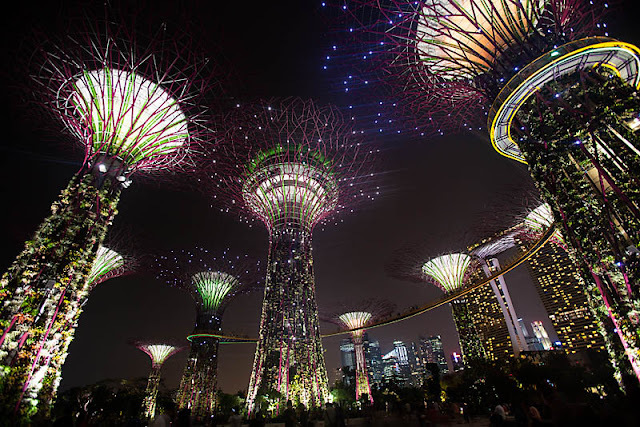 And finally, a Happy 47th Birthday to Singapore!! !